The great northern snakehead, white type Channa argus is one of the most important economic and conservational fish in China, but an uncertain classification has existed for many years. In present study, mitochondrial Cyt b gene was used to analyze the relationships and genetic diversity of two color morphs of northern snakehead. For the Chnannidae family, the average genetic distances of Cyt b gene was 0.171 (ranged 0.000 to 0.248) with the inter-species genetic distances. The intra-species genetic distance ranged from 0.000 to 0.002. For the haplotypes of two color morphs of Channa argus, the mean pair-wise genetic distances were estimated as 0.002, which were within the intra-species genetic distance interval for Channa species, indicating that they belonged to the same species, but not subspecies at the molecular level. Moreover, take Lateolabrax maculates and Epinephelus coioides as outgroups, molecular phylogenetic tree showed that all the haploids gather together as a branch and crossing each other. These indicated that the white type Channa argus should be regard as an albino of biocolor type. JZ and AZ designed the study and drafted the paper. SX and ZW collected the samples. LF and YC pretreated the samples. FZ and QY analysed the data. Channa argus, Cyt b gene, Genetic diversity, Geographic differentiation. The great northern snakeheads, C. argus (Perciformes, Channoidei, Channidae) is widely distributed in Asia and Africa, which was generally dark green with large black blotches (Berra, 2007; Bhat et al., 2014). While the white type C. argus was only found in the Jialing River in Sichuan (105.05E, 29.58N) of China, which is white without any blotches. Kimura (1934) and Shih (1936) regarded the two color morphs as distinct species. However, some studies suggest that the two color morphs as color variations of one single species (Wang et al., 1992, 1993), and similar findings were obtained via our previous studies (Zhou et al., 2016, 2017). In order to further elucidate the genetic relationship between the two color morphs as well as clarify the genetic relatedness among the family Channidae, mitochondrial Cyt b gene was used to determine the level of sequence divergence between them. The evolution speed of Cyt b gene was relatively moderate, which is suitable for the analysis of population and interspecific differences. 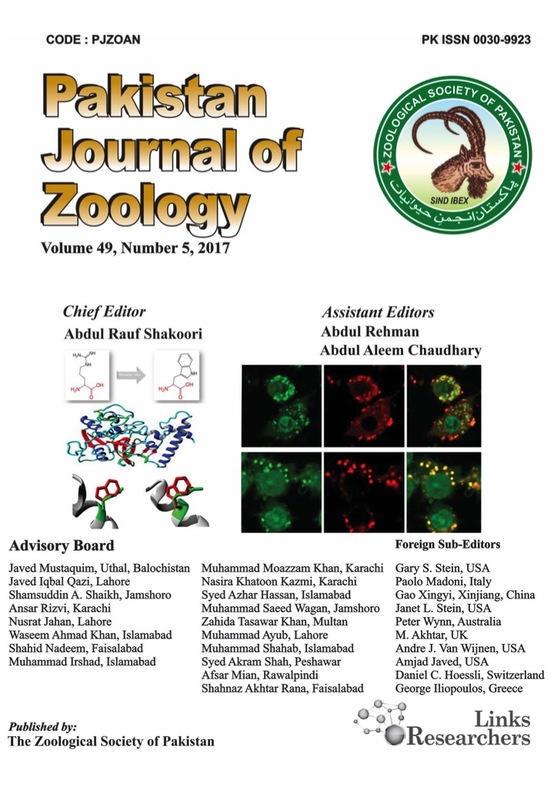 It has been widely used for the analysis of population genetic structure and phylogenetic aspects in recent years, such as birds, voles, insects, shrimp, crabs, shellfish and fish (Awan et al., 2017; Gao et al., 2017; Braby and Zwick, 2015; Kartavtsev et al., 2016; Kim et al., 2015). In this study, we used mitochondrial Cyt b gene sequences as molecular marker to investigate the relationships and genetic diversity of two color morphs of northern snakehead and other Chnannidae family species. Based on the results, the germplasm resources and taxonomic position of white type C. argus were discussed. Our aims were to provide crucial genetic information for fisheries management and conservation in white type C. argus. All samples were identified according to morphological characters (Cheng and Zheng, 1987; Courtenay and Williams, 2004). Tissue samples were taken as fin clips and preserved in 95% ethanol. 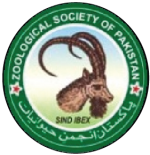 Basic information of sampling sites and size (n) of Channa species were given in Table I. Table I.- Basic information of sampling sites and size (n) of Channa species. Total genomic DNA was extracted from the caudal fin using a standard extraction kit (DNeasy tissue kit, Baitaike Biotech Co., Ltd., China). The amplified primers were given in follows, Cyt b-F: AAAACCACCGTTGTTATTC; Cyt b-R: GCTCTGACGCTGAGCTAC C. The sizes of the amplified fragment length was 1200 bp (Zhou et al., 2016). The amplification reaction was carried out in 50 μl volumes consisting of 25 μl of 2× PCR mix buffer and 0.5 μl of 2.5U/μl Taq DNA polymerase (Takara Bio Inc., Japan), 2 μl of 100 ng/μl DNA template, 2 μl of 10 mM each primer and 18.5 μl ddH2O. Thermal cycling condition consisted of 94°C for 5 min, followed by 35 cycles of 94°C for 30 sec, annealing at 55°C for 30 sec, and an extension temperature of 72°C for 60 sec, and then followed by a final extension of 72°C for 10 min. The PCR product was purified using the QIAquick PCR purification kit (Qiagen, Hilden, Germany). Sequencing was conducted on an ABI377 automatic sequencer with both forward and reverse primers. The nucleotide sequences of this study (KU852444-KU852447, KU852458-KU852460, KU852459, KT358955-KT358956) and GenBank database (LT577206, KC823607, KC774689, AP006042), were aligned using Clustal-X (Thompson et al., 1997) and then was edited and connected using BioEdit (Hall, 1999). DNAstar was used to estimate the number of haplotypes and its frequencies (Excoffier et al., 2005). The dendrogram of 12 populations was constructed using Kimura 2-parameter model (K2P) in MEGA 6.0 based on the pairwise genetic distance (Tamura et al., 2013). A total of 1026 bp of fragments of Cyt b gene was sequenced for 75 individuals. All the sequences were aligned unambiguously with 807bp based on the sequences of other Chnannidae family species in the NCBI database. The variation sites (310), parsimony informative polymorphic sites (229) and conversion/transversion ratio (1.70) were obtained, which indicated that the nucleotide substitution did not reach saturation, these characteristics suggested that the mtDNA Cyt b gene could be used as an effective molecular marker to identify different Channidae species. Table II.- Haplotype information of Cyt b gene among white and biocolor type C. argus. Note: WtcaH and BtcaH represent the haplotypes of white and biocolor type C. argus. B is Cyt b. The same as below. Three haplotypes (WtcaHB1–B3) of white type C. argus and one haplotype (BtcaHB1) of biocolor type C. argus, were defined from 60 nucleotide sequences (Table II). The nucleotide sequences of all the test Channa species and haplotypes were submitted in GenBank. The sequences of both the haplotypes WtcaHB2 and BtcaHB1, had the largest distribution. Considering Lateolabrax maculates and Epinephelus coioides as outgroups, sequences alignment via MEGA6.0, showed that all the haploids gather together as a branch and cross each other. Genetic distance was calculated based on the Kimura 2-parameter model. The result showed that the interspecific genetic distance was 0.000-0.248 among 12 kinds of Channidae species, while the maximum was 0.002 and the intraspecific genetic distance was 0.000 (Supplementary Table SI). Interspecific sequence difference is a prerequisite for accurate identification of species for different species of generic and species level (Peng et al., 2009). Previous research shows that the genetic distances within species are generally less than 0.020, and most are less than 0.010 in 11 phylums 13320 species of animals (Hebert et al., 2003). In the present study, the intraspecific average genetic distance was 0.000 and the maximum genetic distances between different haplotypes was 0.002, which was less than 0.010, respectively. These indicate that the white and biocolor type C. argus have not yet reached the level of subspecies differentiation, and thus it may be able to correct the previous classification for the white type C. argus (Shih, 1936). Previous study also have found that the synonym phenomenon is extremely common in the subfamily species of Cynoglossidae, the genetic distance between Cynoglossus lighti and C. joyneri is merely 0.004, which is considered as same species of different morphological types (Liu et al., 2010). Comparative analysis of the construction of NJ tree, which showed that all haplotypes were clustered into a single group with a high confidence value between the white and biocolor type C. argus (Fig. 1). As a gene sequence information, phylogenetic information can estimate the biological related group, genetic relationship or effective and reflect the size of the development information of a gene, and estimate the accuracy when constructing a phylogenetic tree (Takashima et al., 2004). From molecular phylogenetic trees, we can see that all the selected Channidae species are clustered together, which was separated from the outgroups, and this was mainly reflected in the species level and above. Meanwhile, all haplotypes were clustered into one and cross each other. These results indicate that the white type should be served as an albino of biocolor type C. argus, which was consistent with the result of our previous studies (Zhou et al., 2016, 2017), and the molecular marker has a certain application value in phylogenetic and germplasm analysis. In order to valid the present study and obtain more supportive data, molecular markers are recommended to be used for further comprehensive analysis. This work was supported by the Science and Technology Planning Project of Guangdong Province (2017A020225035); Produce-learn-research Project of Guangdong Province (2011B090400270); Fund Fostering Talents for Young Scholars of South China Agricultural University (201707N025); Talent introduction special funds of South China Agricultural University and Scientific Research Staring Foundation for Young Scholars of College of Marine Sciences. We also wish to express our appreciation to our anonymous reviewers for providing valuable comments on the manuscript. Awan, A.R., Firyal, S., Tayyab, M., Rukh, L., Zia ul Haq, M., Saeed, S. and Wasim, M., 2017. Pakistan J. Zool., 49: 283- 288. Cheng, Q.T. and Zheng, B.S., 1987. Systematic synopsis of Chinese fishes. Science Press, Beijing. Chen, S.J., He, C.B., Mu, Y.L., Liu, W.D., Zhou, Z.C., Gao, X.G. and Cong, L.L., 2008. J. Fish. Sci. China, 15: 12-21. Courtenay, W.R. and Williams, J.D., 2004. Snakeheads (Pisces, Channidae): A biological synopsis and risk assessment. US Geological Survey. Ding, R.H., 1994. The fishes of Sichuan, China, 1st edition. Sichuan Science and Technology Press, Chengdu, pp. 554. Excoffier, L., Laval, G. and Schneider, S., 2005. Evolut. Bioinform., 1: 47. Gao, J., Yue, L.L., Jiang, X., Ni, L., Ashraf, M.A., Zhou, Y., Li, K. and Xiao, J., 2017. Pakistan J. Zool., 49: 1185-1195. Hall, T.A., 1999. Nucl. Acids Symp. Ser., 41: 95-98. Kimura, S., 1934. J. Shanghai Sci. Inst., 3: 11-247. Shih, H.J., 1936. Bull. Fan. Mem. Inst. Biol. Peiping (Zool. ), 7: 81-82. Wang, J.X., Zhao, X.F., Zhuo, C.W. and Liao, Z.G., 1992. Trans. Oceanol. Limnol., 2: 51-57. Wang, J.X., Liao, Z.G., Zhang, Z.G. and Zhao, X.F., 1993. J. Southw. China Norm. Univ. (Nat. Sci. ), 2: 168-172. Zhou, A.G., Wang, C., Jiang, W.Z., Li, Z.G., Chen, Y.F., Xie, S.L., Luo, J.Z. and Zou, J.X., 2016. Mitochondrial DNA Part A, 6: 1-3.